Triune Initiatives is a New Zealand-based educational company with a world focus committed to improving learning outcomes for all. It is renowned for specialised resources targeting reading comprehension. 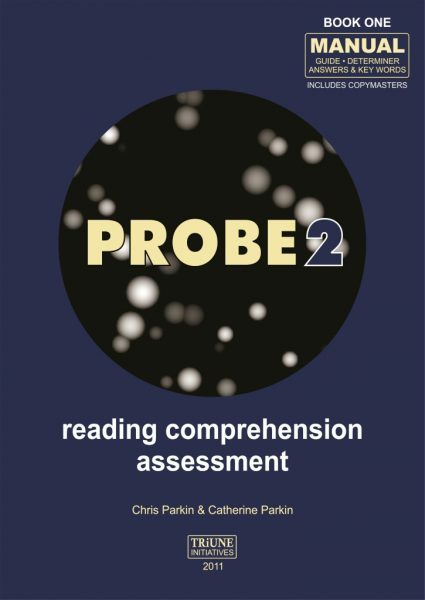 This well received reading comprehension assessment is designed to be used one-to-one to give greater insight into reading behaviours and comprehension skills. Three reading comprehension teaching resources designed to help students unlock text by close teaching of specific comprehension skills. A unique reading diary designed to help address the problem of students who either read very little or read regularly, but far too narrowly. All Triune's comprehension resources have purpose-written texts. This allows for control of readability levels & specific questions. The wealth of genre reflects modern themes and styles, while at the same time avoiding geographical & cultural bias. While Triune is a direct sales business, i.e. customers deal directly with us rather than a distributor or retail outlet in your country. or from ACER Press Melbourne.